Earle & Coffin have accomplished a lot in the past two years. From recording their first album, “Live at the Citadel House”, to creating “Wood Wire Blood & Bone”, their first original work, quickly followed by their EP “A Day in July”. 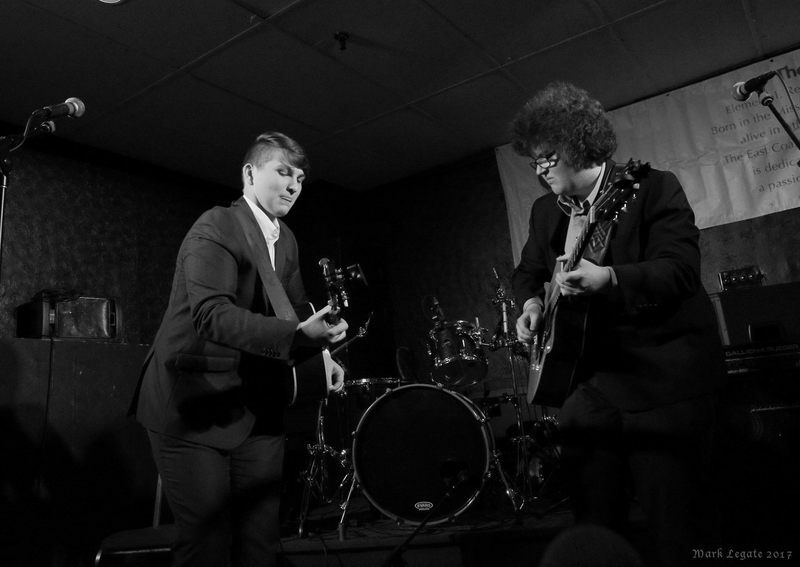 These 18-year-old blues men have been touring festivals and showcases throughout Canada, and their hard work shows; awarded the 2016 C.F.M.A. for Young Performers of the Year, a 2017 Music NL Award for Blues/Jazz Artist of the Year, advancing to the semi-finals in the International Blues Challenge in Memphis, alongside numerous regional and national nominations.